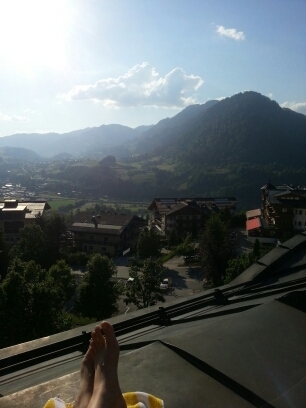 bed, got some sleep and then climbed out on the roof from my room and got some sun, reading my book. At 2000 I was back on the table, this time against Sabrina Tatzl (aut). I was terrified of loosing and you all know what that does to your game. … I missed everything, the fog enclosed the table.. at 2-5 down I finally got angry and started to play. I won 7-5 and followed up winning 7-3 against Ana Gradisnik (slo). Tomorrow at 0900 I play loosers qualification for the last 16.